The Best Medical Alert Systems for Caregivers | Arden Besunder P.C. According to the CDC, one out of every four older adults fall every year, and 20% of those falls are serious, resulting in a broken bone, head trauma or the like. Those who experience a fall double their chance of experiencing another fall in the future. Unfortunately, the risk of falling can’t be completely prevented, so providing immediate help and assistance if and when a fall happens is vital. 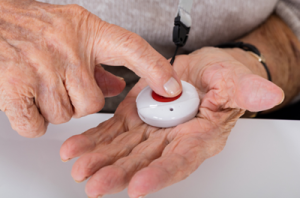 This is where home medical alerts can be invaluable – these devices allow seniors to retain their independence at home and around their communities, while minimizing the risk of further injury or death from falling and not being able to receive immediate help.